The human genome is far more complex than thought, with genes functioning in an unexpected fashion that scientists have wrongly assumed must indicate cancer, research from the University of Virginia School of Medicine indicates. Hui Li, PhD, of the Department of Pathology and the UVA Cancer Center, is a pioneer in a small but emerging field that is challenging fundamental assumptions about human genetics. He seeks to understand what is called chimeric RNA – genetic material that results when genes on two different chromosomes produce "fusion" RNA in a way scientists say shouldn't happen. Researchers have traditionally assumed these chimeric RNA are signs of cancer, of something gone wrong in the genetic transcription process. But Li's work shows that's not always the case. Instead, these strange fusions can also be a normal, functional part of our genetic programming. "This is actually a double-edged sword for cancer diagnosis and treatment. … It basically says the old practice of finding any fusion RNA and claiming it's a cancer fusion is over. We can't just say, OK, we found a fusion, it must be a cancer marker, let's translate it into a biomarker [to detect cancer]," Li said. "That's actually dangerous. Because a lot of normal physiology also has fusion RNAs. There's another layer of complexity." Because of Li's pioneering work, the scientific journal Trends in Cancer invited him to provide an opinion piece outlining the state of his field's research and the challenges and opportunities that lie ahead. In the new article, he seeks to increase scientists' awareness of this important nuance in our genetic understanding, and he cautions them that failure to consider the role of normal chimeras could lead to conclusions that are inaccurate, incomplete or flat-out wrong. "This is the main concept we want to let the field of cancer biology know: This kind of thing exists in normal physiology. 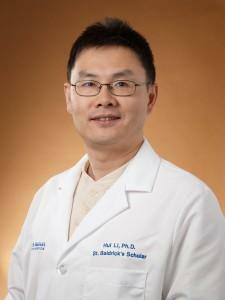 It's not cancer specific," Li said. "There's a danger to assuming everything is cancer. That's actually dangerous. Don't rush to judgment about all of these chimera you find in cancer cells, because they could occur in normal cells." Getting that message out, he said, is important because existing beliefs are so entrenched. "Traditionally, there have been all these assumptions coming back to the central dogma that genetic information is passed from DNA to RNA to proteins. Because the gene is defined as the molecular unit of hereditary information, people don't assume the units or their RNA and protein products can mix with each other," he said, noting that even he was skeptical initially. "It was hard for us to believe at first. We were surprised to see such a thing could occur in normal physiology, and it could occur at such a high frequency." Because these natural chimeras were discovered so recently, relatively little is known about them. Li and his fellow researchers have shown that they occur when the instructions in our DNA are being carried out by RNA inside our cells. But the scientists can't say how the fusions occur or why they occur or exactly how frequently they occur. And that speaks to how much there is to learn, Li noted. That knowledge will help us to better understand the human genome and to create better ways to detect – and hopefully defeat – cancer. "This opens a window for us to discover new biomarkers and new therapeutic targets, because there's this whole other layer of complexity," he said. To build a foundation for discovery, Li is creating a database of naturally occurring fusions, to help sort normal chimeras from ones that might be signs of cancer. He doesn't believe that any of the biomarkers now being used for cancer detection are problematic, but the database should accelerate the identification of new biomarkers by saving scientists from having to investigate each chimera individually.